Rose E. Bleacher, 91, of Lancaster, passed away on February 22, 2018 at Evergreen Estates Retirement Community. She was the loving wife of David K. Bleacher. Born in Lancaster, PA, she was the daughter of the late Jacob and Emma Jane (Yeager) Bechtold. 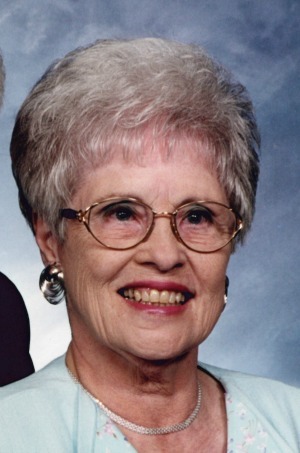 Rose dedicated her life to her family as a homemaker. In her spare time, she enjoyed cooking, attending church and spending time with her extended family, particularly her grandchildren who she adored. She was a member of Lutheran Church of the Good Shepherd. In addition to her husband, David, she is survived by a son, Jeffrey S. Bleacher (husband of Cynthia) and grandchildren, Jason S., Dylan S. and Abigail R. all of Landisville, PA. I want to extend my sympathy to you for the lose of your wife and mother. She was always so sweet, and her smile was a constant. I am sorry for your loss of Rose. May the “God of all comfort” embrace you and bring to your minds joyful memories. All the best wishes for your family at this time, take care.